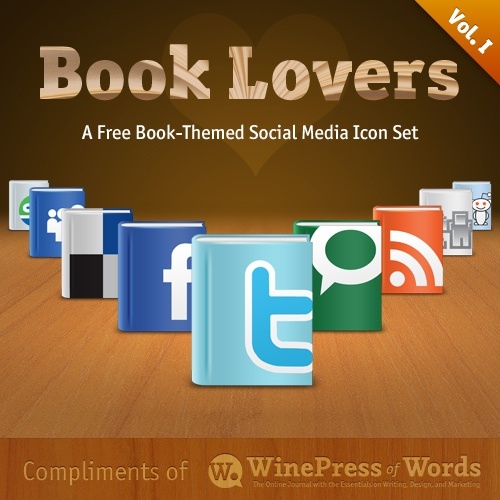 WinePress Publishing offers this lovely book-themed Social Media icon set. 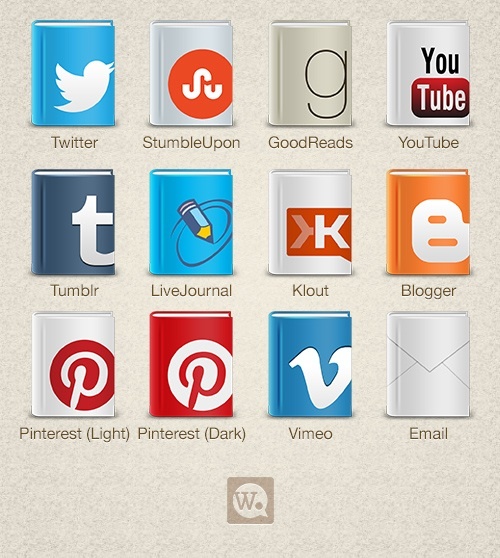 The icons have been released over time, in two volumes and come in PNG format, from 32x32px up to 512x512px. 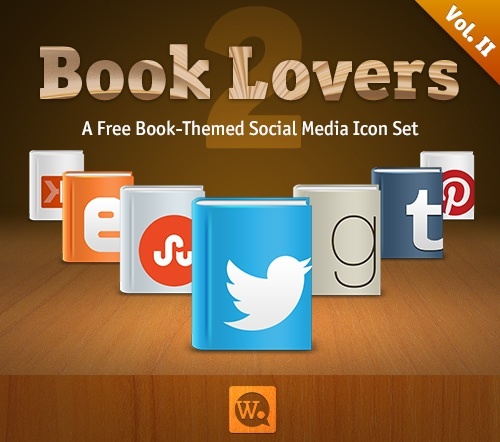 Warning: The website hosting this resource seems to be down at the moment.